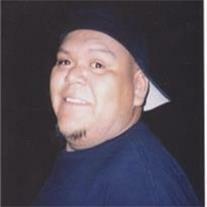 Lee Raven Vest, 26, passed away August 13, 2011 in Mesa, Arizona. Wake services are Friday, August 19, 2011 at 6 PM at the Lehi Community Center, 1231 E. Oak in Mesa. Sunrise services are Saturday, August 20, 2011 at 6 AM at the Lehi Cemetery, 926 E. Thomas Road, also in Mesa. Arrangements by Bunker’s Garden Chapel.